traits of the Zodiac Signs? This 8’5 X 11 inch, bound and laminated book with 86 pages evolved out of the 14 years of research that this author used in creating my monthly “Celebrity Snapshots” article for DELL HOROSCOPE Magazine. This book goes beyond the column, to reveal many of my 40+ years of other observations on human physical traits and personalities. DANCE OF THE ZODIAC begins with a brief overview that suggests how astrology works– as it illustrates the basic tenets of astrology by defining how the relative position of objects and wave-forms create specific angles and geometric shapes. The book then proceeds to demonstrate how these shapes are altered by astrology’s 3 Modal Forces and redefined by the rhythmic qualities of the 4 astrological Elements. These Modes and Elements (in their combinations) give us the unique qualities, that will help you and your friends to identify the nature of the 12 Zodiac Signs. Notably, the book uses hundreds of photos of celebrity faces (and my “amazingly accurate” caricatures) to show the modal features and qualities of the twelve signs. We then proceed to demonstrate how they manifest in the psychology, mannerisms and physical traits of all humans by illustrating the influence of astrology’s six personality components: The Sun, Moon, Ascendant, Mercury, Venus and Mars. The book has three sections that show photo collages of celebrities who share the same Sun, Moon and Rising Sign! 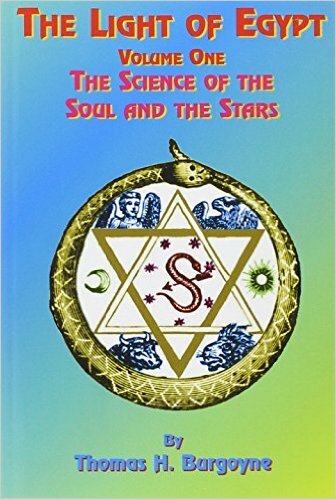 And there’s also a chapter that reveals the effects of the decans on all of the Sun Signs. 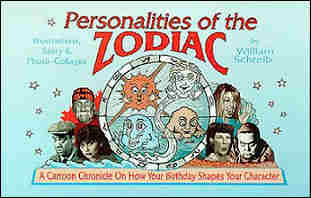 The book concludes with 24 “Celebrity Snapshots” from past issues of DELL HOROSCOPE. I believe that this is the most comprehensive “visual” work ever to be completed on the physical influences of astrology on human character. This is William Schreib’s first book (published in 1998). This 60 page (5 by 8.5 inch) bound and laminated book takes you on a fully illustrated journey through the seasons of the year. With the placement of Schreib’s original caricatures and photos of celebrity faces, this book’s whimsical Zodiac environments demonstrate the creative impulses of each of the signs. AVAILABLE ONLY in USA and Canada (due to high postage fees in Europe, Australia).